Reflexology is one of the most popular complementary therapies used by women during pregnancy. It is a wonderful, natural and simple way of helping your body through pregnancy from fertility issues, the discomforts associated with pregnancy and preparation for birth. The Association of Reflexologists says, “Nearly everyone can benefit from having reflexology during pregnancy.” Reflexology is becoming more commonly accepted and used in the NHS and many midwives are now recommending Reflexology to help their patients through pregnancy. If you are thinking or are trying for a baby Reflexology can provide you with support through that journey. The arrival of your new baby is a very exciting and life changing time as well as an exhausting time for both parents in particular the mother. Your baby can bring broken routines, poor quality sleep and general tiredness and exhaustion. Reflexology can support you during this new stage in your life. 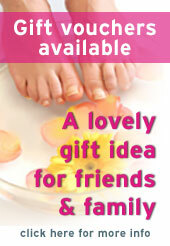 Reflexology helps relaxation, improves mood, aids sleep, helps to relieve tension and improves sense of wellbeing. As soon as you think about starting a family or if you have had difficulties trying to conceive. 13 – 16 weeks pregnant. It may be appropriate to commence treatment earlier depending on individual situations particularly if the client used Reflexology to help with conception. Varies depending on the pregnancy, however, a total of 5 to 10+ treatments would be recommended to gain the most benefit. The first lasts about 1hr15 mins which includes medical history taking. Following treatments last about 1hr.